Hunting for the best resources for new managers? Whether you’ve been recently promoted to management status or are hoping to get to a supervisor level in the near future, there are many good resources for new managers that are worth checking out, including blogs, videos, books, and podcasts. We’ve rounded up some of our favorites (as well as reader suggestions) for first-time managers below, but we’d love to hear from you! What do you think are the best resources for new managers? If you’ve recently been promoted to manager level, what resources have been the most helpful? What would you recommend to younger women looking to make it to management? 1. 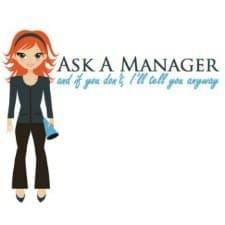 Ask a Manager: Alison Green has been sharing wisdom with managers (and the rest of us!) on her blog since 2007. She has also written a book, she hosts a weekly podcast, and her advice has been published by national publications. A search for “first-time manager” on her site resulted in several results, including her article in U.S. News and World Report with advice for new managers, and a list of the five most important things she says a first-time manager should know, but a Corporette reader suggested putting time aside every week or so to catch up on her posts. As a bonus, the reader comments on Ask a Manager can be helpful as well. Green’s list of her favorite posts of all time will get you started. 2. Harvard Business Review: While HBR is known in the business world for providing results of studies about leadership, their online articles, as well as videos (both on the site and on their YouTube channel), are also valuable to new managers. 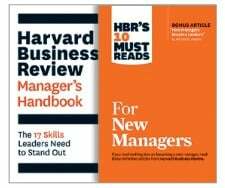 HBR also offers books about management skills, plus advice for new managers, including a two-book offer for a “New Manager’s Collection” that includes 10 Must Reads for New Managers and Harvard Business Review Manager’s Handbook. In 2018, they launched the Women at Work podcast — the third episode is focused on leading with authenticity. 5. Manager Tools: This reader-recommended podcast was started by two former managers and West Point graduates in 2005. The company also offers online trainings, conferences for managers, downloadable forms that complement the podcasts, and other manager resources. 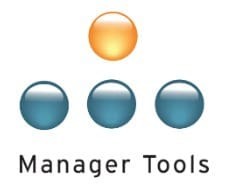 First-time managers may want to start with Manager Tools “Basics,” which includes podcasts about how to be effective at one-on-one meetings, feedback, coaching, and delegation. 6. The Balance Careers: Management and Leadership: This site offers helpful advice to managers at all levels. This post for new managers offers 15 tips, including why you should be prepared even before you are promoted, and how to be an effective leader in your new role in the office. 7. 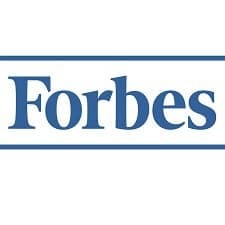 Forbes: Forbes‘ Leadership tab shares several helpful resources for managers, including a recent article, “4 Ways to Master Your First-Time Manager Role.” Forbes also offers podcasts, including interviews with leaders; “Mentoring Moments,” which features advice from successful women; and business news to help you stay on top of your game when it comes to your industry. Are there any blogs, videos, books, or podcasts we missed? Any other resources you’d add to this list that you would recommend to first-time managers or those looking to take on management positions at some point? Any general advice that goes beyond these resources? Let us know!